This post was made in partnership with JOANN. All opinions are my own. There are also affiliate links included at no cost to you. 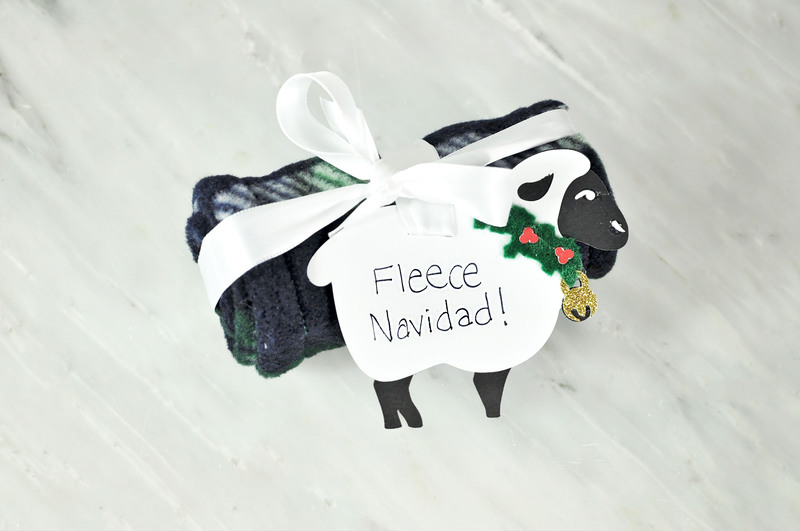 I’ve always been one for a good pun, so when I saw a sweatshirt that had a sheep on it and read “Fleece Navidad,” I was in love. 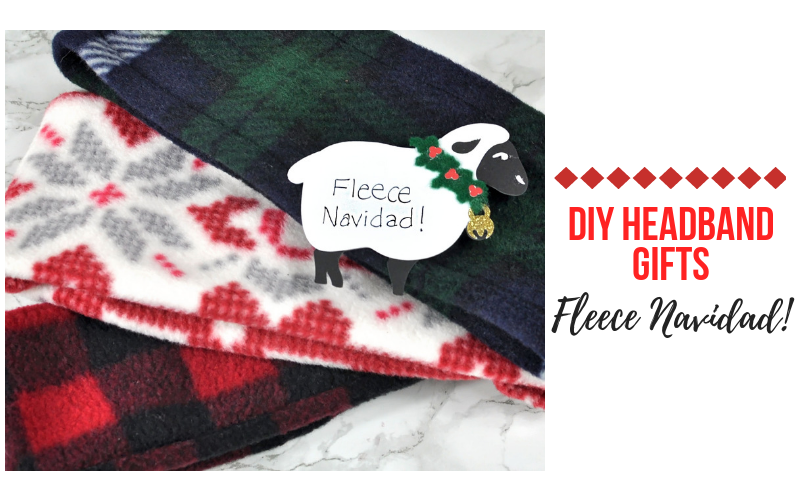 Based on that pun, I decided to create a super easy DIY gift for the holiday season using–you guessed it–FLEECE! 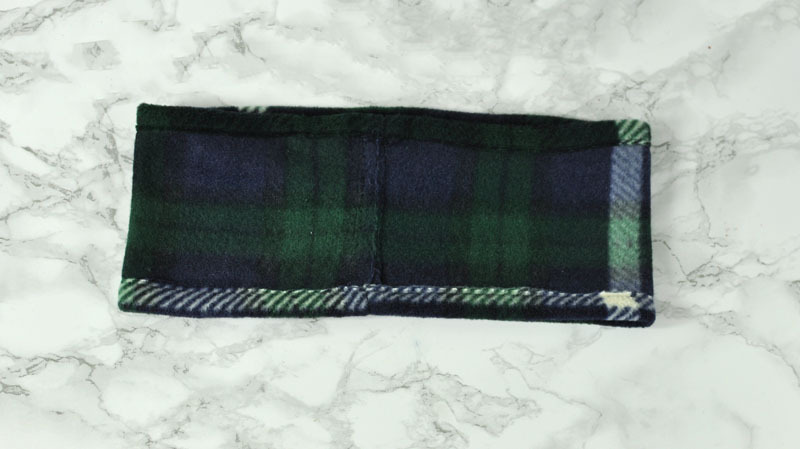 This headband takes about 20-30 minutes to make. I tried out 3 different ways to make it, and my favorite also happened to be the fastest and easiest #winning. Today I’m going to share this easy method with you. 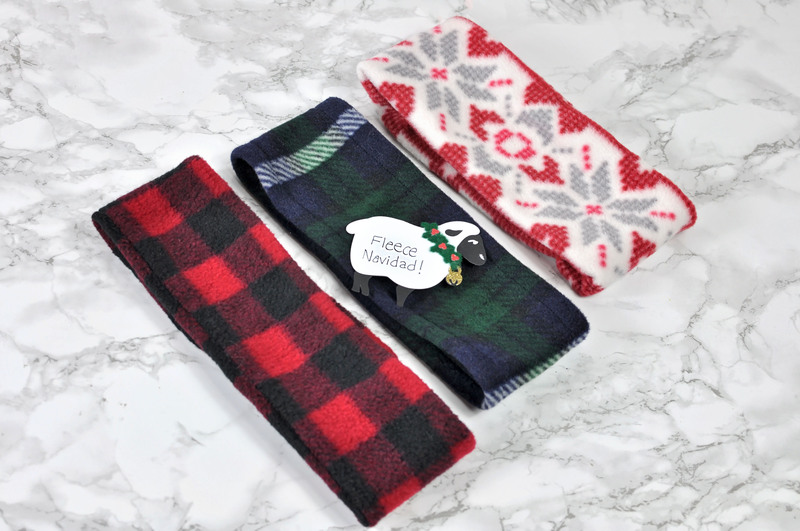 To begin your DIY fleece headband, head to your local JOANN and pick up some fleece in your favorite print or color. 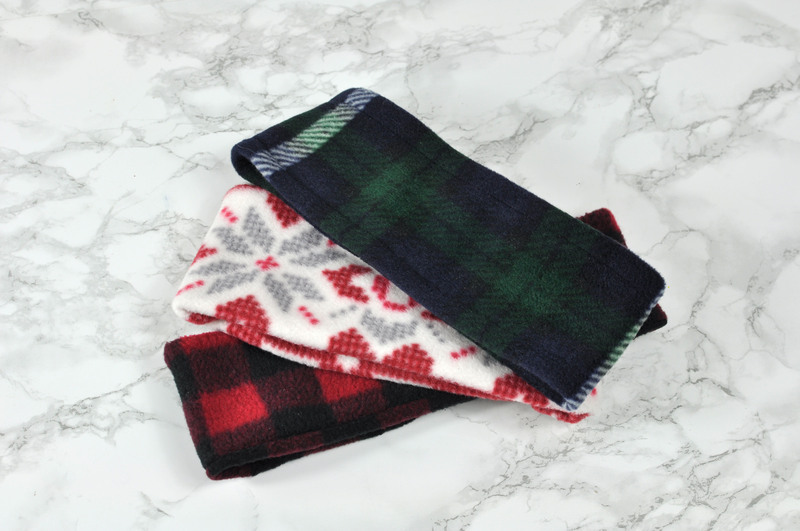 I decided to go with a holiday color scheme, so I used this green plaid, this red buffalo check, and this red and white nordic print. Once you’re back at home, grab some hot chocolate and your cutting mat and let’s get cracking! 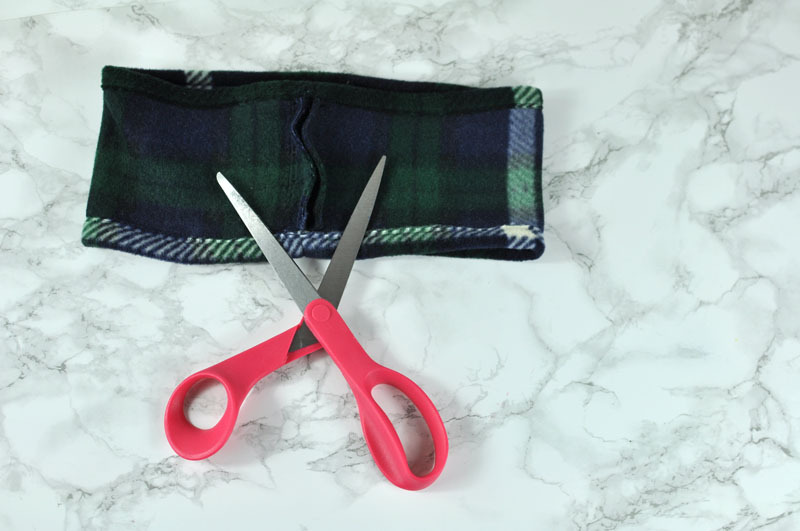 The first thing you want to do is cut your fabric. I cut mine into a rectangle about 22 inches by 4 or 5 inches. 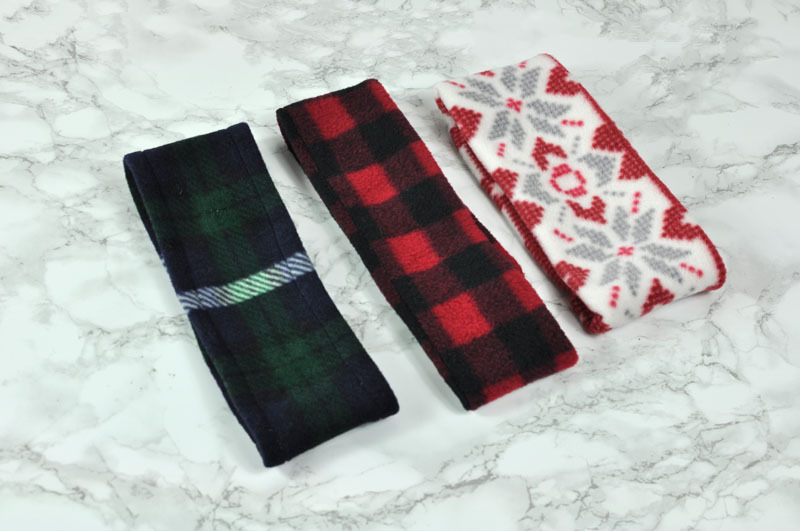 BE SURE TO HAVE THE LONG SIDE RUN PARALLEL WITH THE STRETCH OF THE FLEECE. For my fleece, this was always from one selvage end to the other. 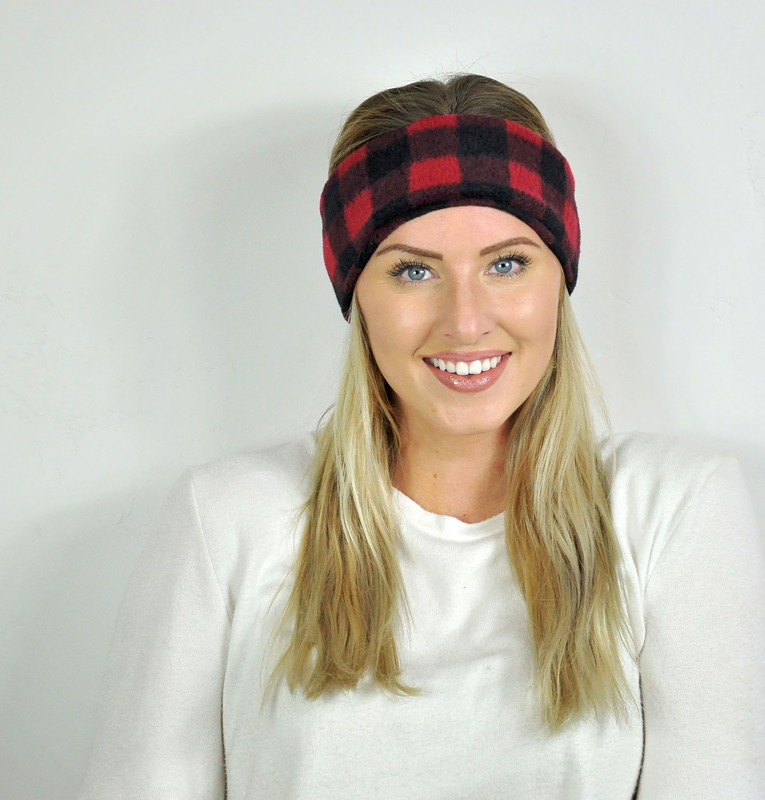 You want to be sure the stretch will go around your head so it can fit comfortably. Got your rectangle cut? Good, you’re like halfway there girl. Now, fold your rectangle in half with the right sides together. It should look like this. Stitch down the edge. I sewed with a 5/8 inch seam allowance out of habit. 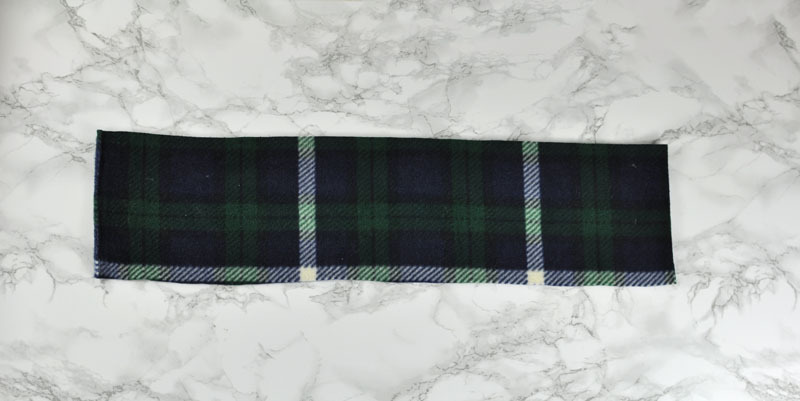 I used a straight stitch, and a longer stitch length of 3.5 since the thread gets absorbed by the thickness of the fleece. 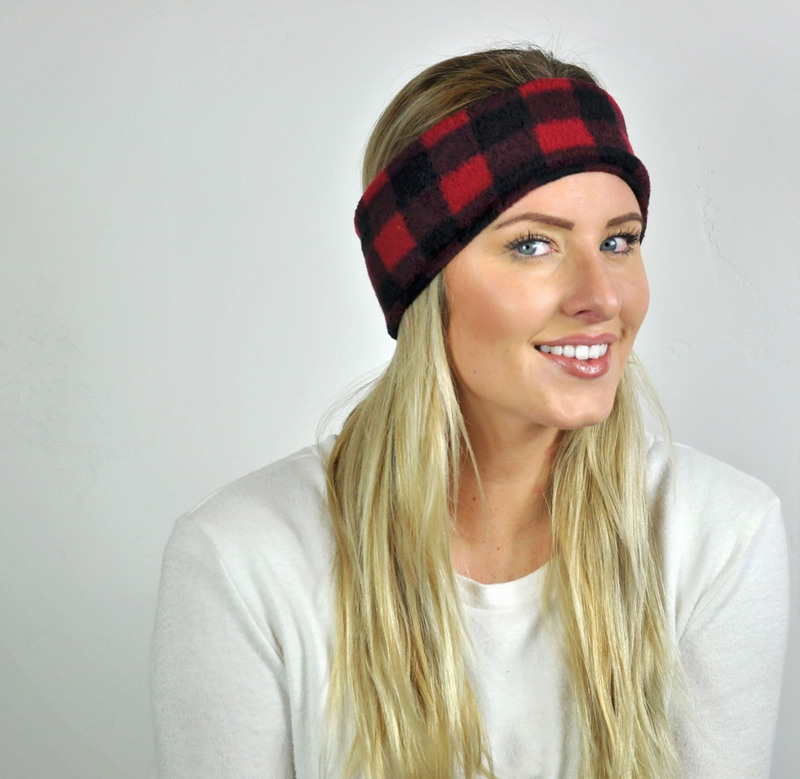 If you’re making this headband for yourself, put it on and own it! 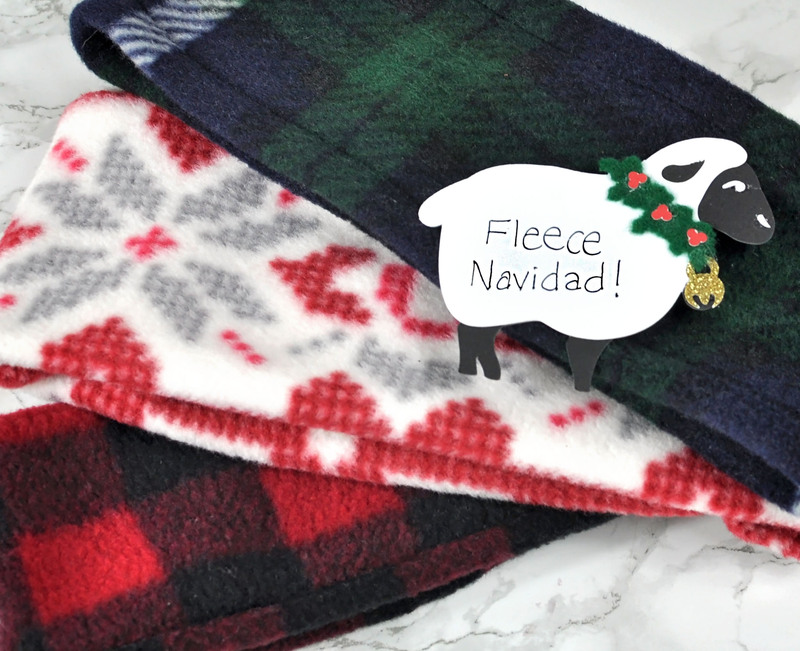 If you’re making it as a gift, you can go ahead and make this cute “Fleece Navidad” tag using your Cricut machine. I used my Cricut Maker, but I think you can easily do it on your Cricut Explore Air II as well (just maybe use paper instead of felt for the wreath). 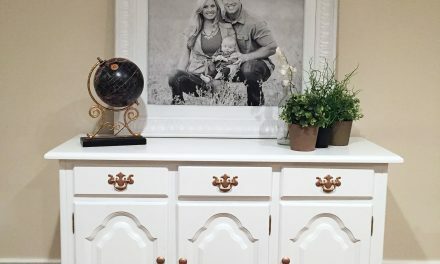 This cut file is free if you have Cricut Access. 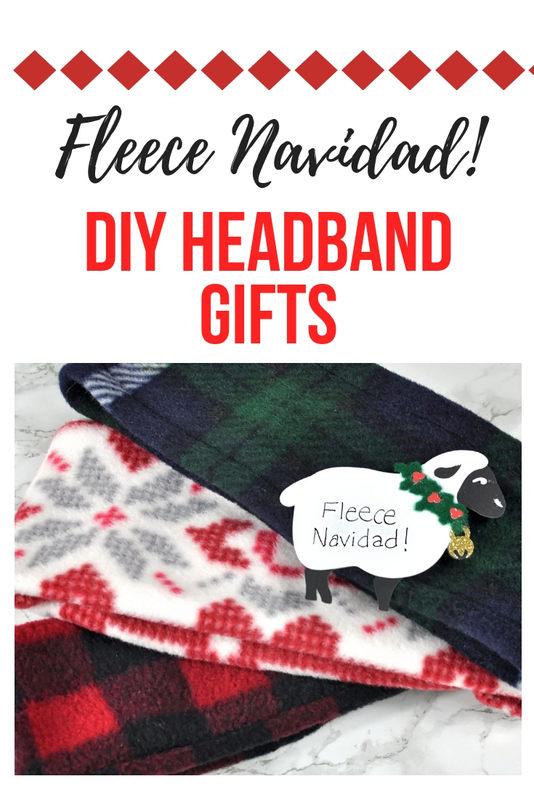 Here’s a link to my project, though I’m not sure how it’ll work when you click it, fleece navidad sheep. I have lots of friends that say they can only sew in a straight line. If that’s true, you’ll be a pro at this project! Here are some more shots of the final result!